Christian films are a big business in Hollywood. Mel Gibson’s Passion of the Christ was a box office bonanza and brought back the heyday of Ben-Hur and The Ten Commandments in the 1950s. Son of God, produced by reality show Czar Mark Burnett, opened a month ago and has already yielded a 100% return on investment. These films owe much of their success to evangelical leaders and Catholic school teachers who rally millions of faithful to the theater for an evening of entertainment and Christian fellowship. 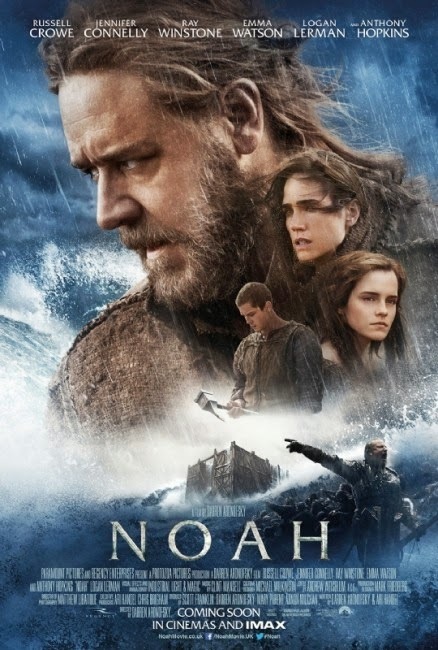 That brings us to Noah, a US$125 million gamble by Paramount Pictures to capitalize on the conservative movement in America. The story is simple – the Book of Genesis devotes only three short chapters to it. It is said that God regrets the creation of mankind and decides to destroy every living being with an all-consuming flood. But the Lord sees goodness in one person – Noah – and asks him to build an ark to save his family and two of every animal species. To stretch a 15-second storyboard into a 2.5-hour epic, the studio hires Darren Aronofsky (Requiem for a Dream, Black Swan) to write the story and direct the picture. Aronofsky has no choice but to make things up. Quite a few things, in fact. In the film version of the story, Noah’s grandfather Methuselah (played by Anthony Hopkins) is a Dumbledor-esque wizard who possesses magical powers and loves wild berries. The famous Noah’s Ark is built not by Noah but a team of bizarre rock Transformers called the Watchers. These creatures, a liberal interpretation of the Nephilim (fallen angels), are so absurdly out-of-place that Paramount Pictures has kept them out of the movie trailers and Google image search. To balance the equation of good and evil, Aronofsky creates super villain Tubal-Cain (played by Ray Winstone), who brings back bad memories of the awful Ivan Vanko character in Iron Man 2. The barbarian warlord killed Noah’s father decades ago and has now returned with a small armed force to hijack the ark. After his evil plan was thwarted by the rock monsters, Tubal-Cain still manages to sneak into the ark to wreak more havoc. Of course none of that is actually in the Bible, and that’s where the film fails. When a story so universally known is so heavily embellished, the audience tunes out and stops caring. Fabrications, no matter how cleverly crafted, don’t tend to move people. 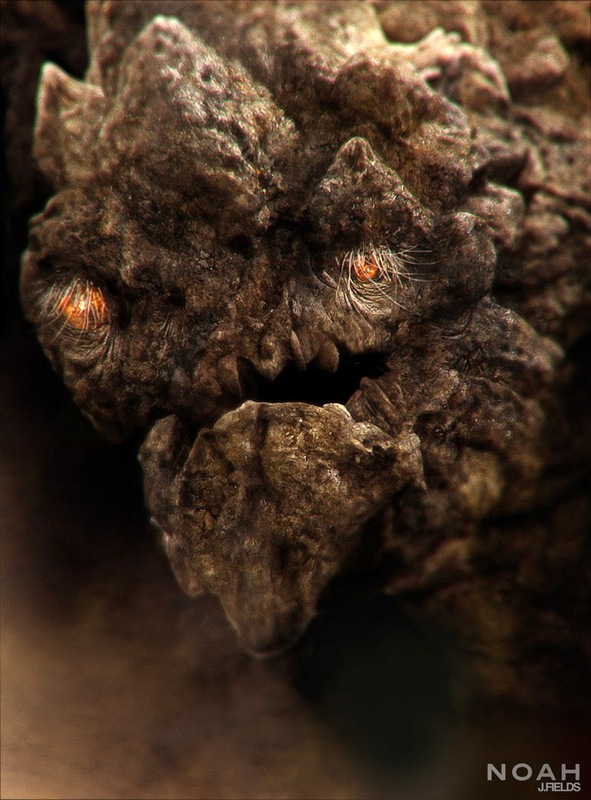 To make things worse, miscalculations like the rock monsters take viewers out of a serious Biblical epic and put them in a goofy sci-fi. Equally disappointing are the 3D graphics. Noah is not Life of Pi. The animals and birds look cartoonish and the much-anticipated flood scene is anti-climactic. Russell Crowe, who takes the lead role, is not easy on the eyes either. The 50-year-old actor looks like an overweight hobo in the New York City subway. He also seems emotionally detached. 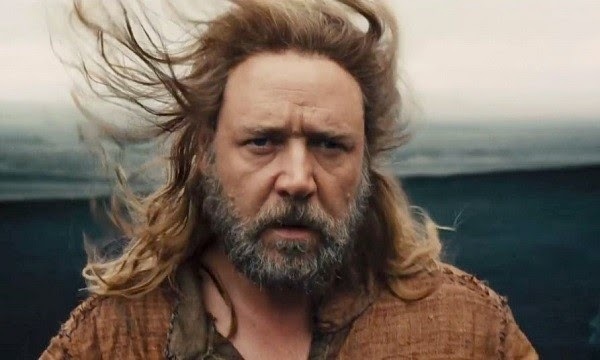 Crowe is as uncommitted to playing Noah as he was singing off-key as Javert in Les Misérables. A master of film noir, Darren Aronofsky is fascinated by the duality of good and evil and the fine line between obsession and madness. The veteran director explores both themes in Noah and sheds new light on the title character and the moral dilemmas facing him. Nevertheless, he overuses his creative license and lets bad decisions overshadow the good ones. The film is nowhere near Black Swan in its edginess and dramatic tension. Instead, it is 138 minutes of drab dialogue and unnecessary plot twists. I’ve never fallen asleep in movies but I was very close to shutting my eyes after seeing scene after scene of a disheveled Russell Crowe trudging through mud and beating up bad guys. I'm surprised, I'm a big fan of his and I'd expect better. Haven't seen it yet (and maybe I won't get around to it for a while), but I wouldn't think it's pandering to the religious to make Biblical movies. If so, they did a bad job of it and evangelicals have been quite offended! But it's Western mythology, it's as much fair game as Clash of the Titans or something, except the awkward part that people still believe in it. Genesis is quite weird and mysterious and I'd hoped a good director could portray that. Adaptations always add things and change the original story, but if they do it in a way that works then it's forgivable. The whole villain angle seems Hollywood formulaic and that's unfortunate. I wouldn't say the movie panders to the religious conservatives. But it is formulaic and a bit of a sell out.